If you follow me on Twitter, you know that I am OBSESSED with Preston Hollow Village, the brand new development on Walnut Hill and 75. Not only do some of my favorite spots in town call PHV home but it seems like every week there are more store signs popping up. Just this week I saw that a gelato place out of Arizona called Frost is coming this summer. If you are like me, you know there are lots of food options in this center BUT did you know that there is a salon there, too? 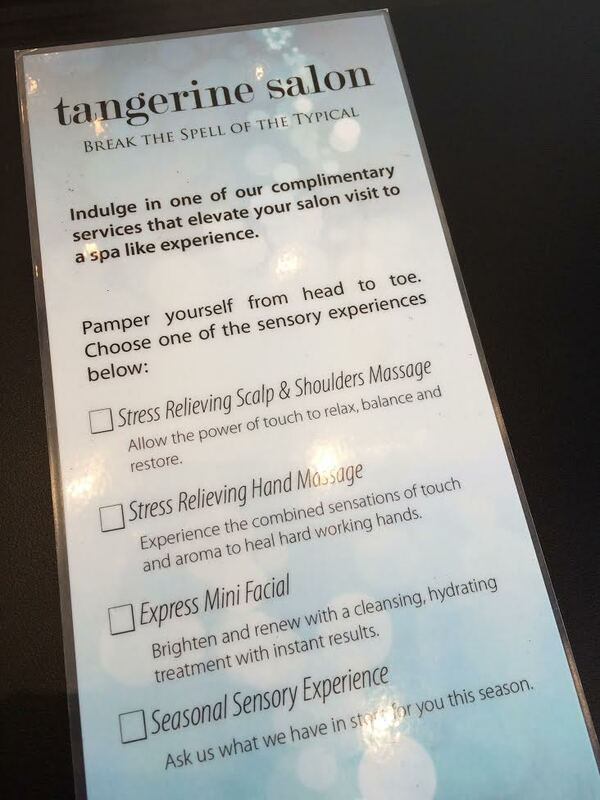 Now, in typical PHV fashion, this isn’t just any salon – it’s Tangerine Salon! 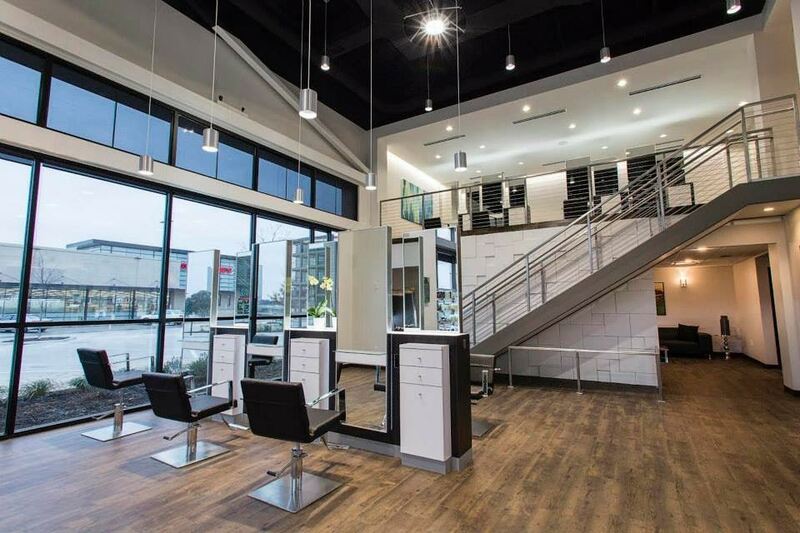 Tangerine Salon has been a staple in the DFW area for 10 years now and the Aveda salon has highly trained staff who offer a true experience. The salon is incredibly gorgeous and looks more like a posh downtown loft than anything else. Huge sprawling windows and hard wood floors give it a feel unlike anything else in town. The nice folks at Tangerine Salon invited me in for a service to check them out and what did I pick? A blow out, of course! 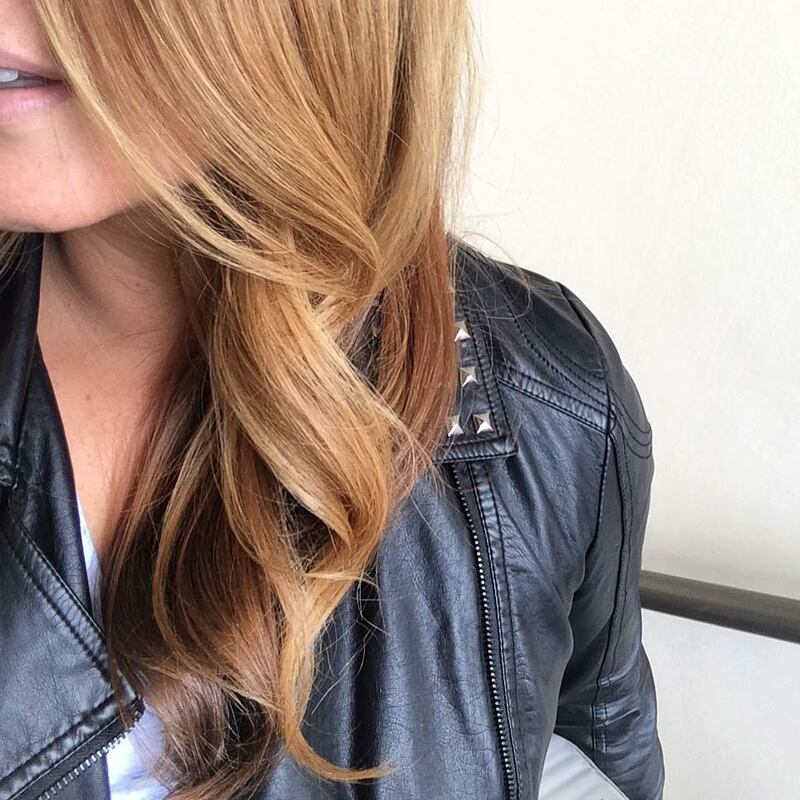 I wanted to make sure my hair looked fab for a recent trip to Las Vegas and fabulous is exactly what I got. From the second I walked through the doors, the staff was incredibly inviting and friendly. I got to relax in the lounge over a cup of coffee prior to my service and enjoyed the complimentary add-on service of a shoulder-massage. After I left, I had SO many people tell me how great my hair looked and lets be honest – if you hair looks good, YOU look good. As I write this my hair looks like a hot mess and the people at Starbucks are looking at me like I’m a hot mess so I should probably take my own advise and schedule another appointment at Tangerine Salon, don’t you think?